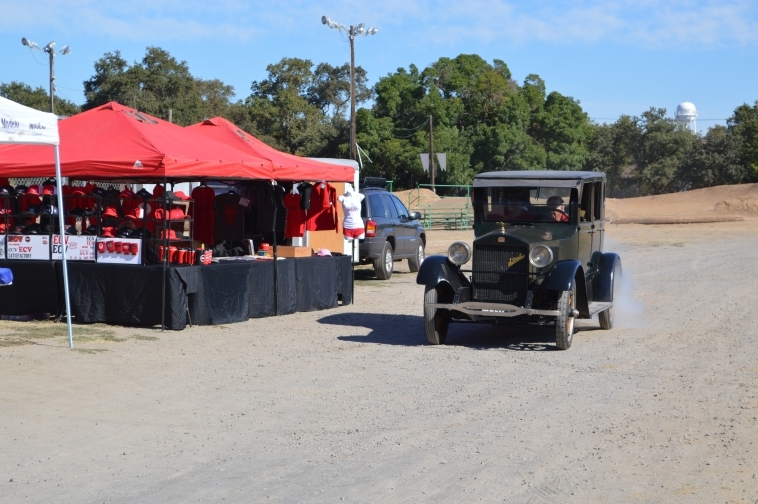 Those that attended the doin's in Rio Linda got to experience something historical and unique...a 1922 Stanley Steamer. 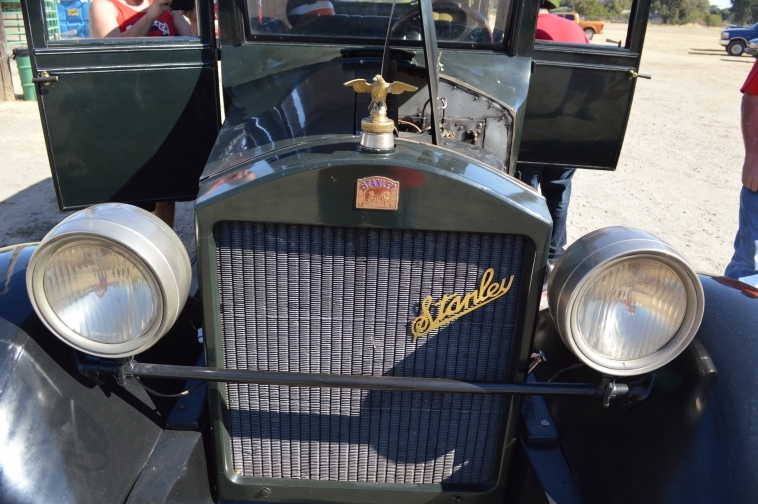 The Stanley Motor Carriage Company was an American manufacturer of steam engine vehicles. It operated from 1902 to 1924. 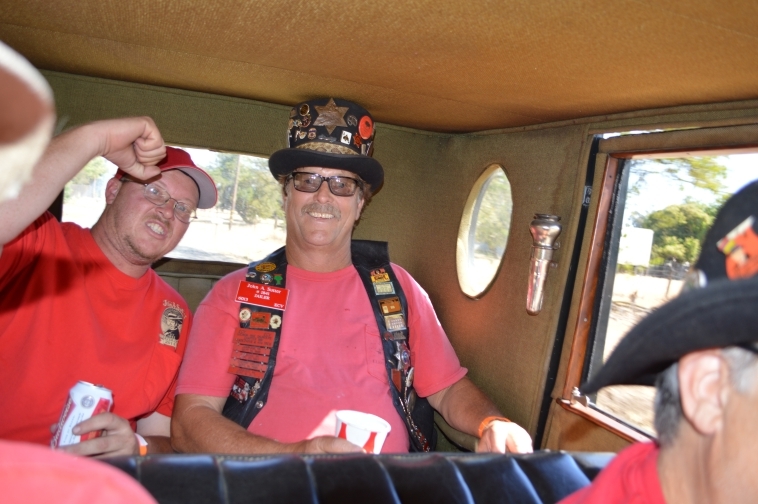 The cars were known as "Stanley Steamers." Twins Francis E. Stanley and Freelan O. Stanley founded the company after selling their photographic dry plate business to "Eastman Kodak." They produced their first car in 1897. During 1898 and 1899 they produced and sold over 200 cars, which is more than any other car maker in the United States. In 1899 Freelan & his wife drove one of their cars to the top of Mount Washington in New Hampshire, which is the highest peak in the northeastern United States. The ascent took about 2 hours and was the first time a car had climbed the 7.6 miles over the long "Washington Carriage Road." 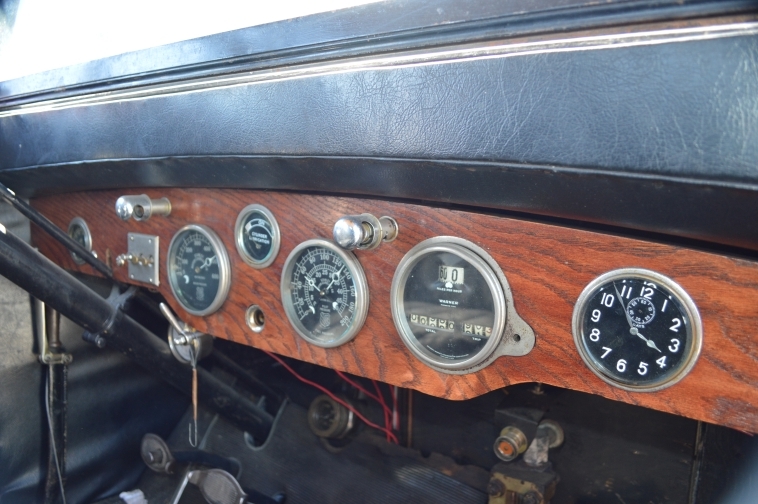 The decent was accomplished by putting the engine in low gear while braking extensively. 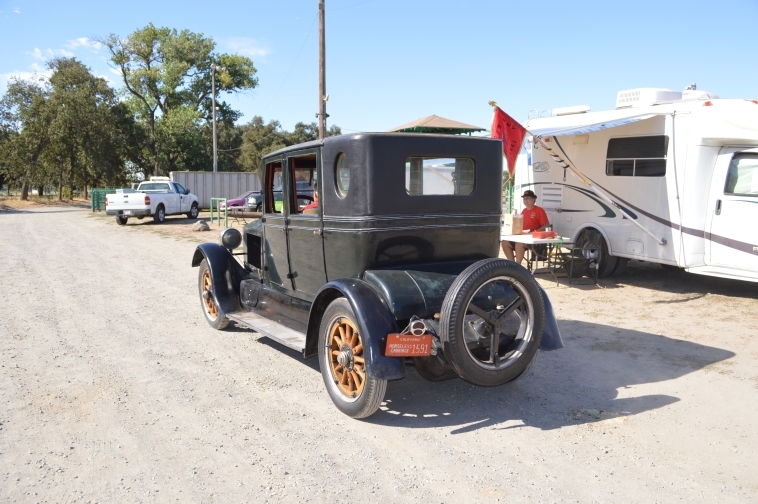 Soon after the twin brothers sold the rights to this "early design" to "Locomoble" a competitor and started the "Stanley Motor Carriage Company" in 1902. In the beginning, Stanley cars had wooden bodies mounted on tubular steel frames with full elliptical springs. Steam was generated in a vertical fire-tube boiler, mounted beneath the seat, with a vaporizing gasoline or kerosene burner underneath. 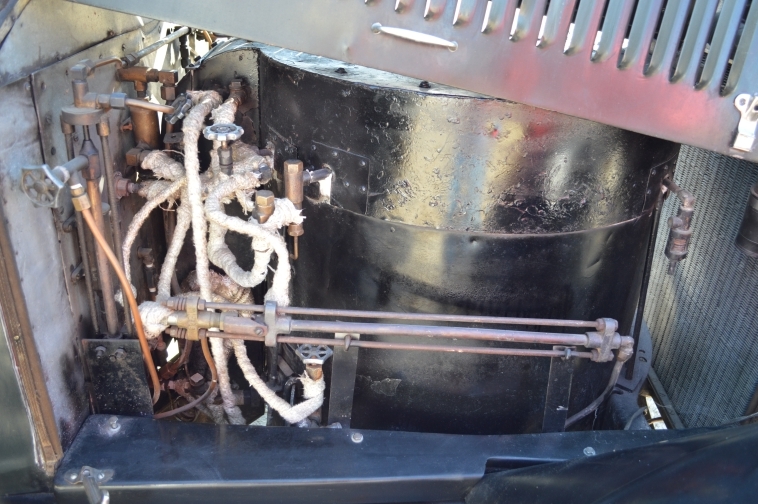 The boiler was reinforced by several layers of piano wire wound around it, making it strong, yet very light weight. Some models used vertical fire-tubes made of copper in the lower and upper crown sheets. The boilers were very safe since they included safety valves to prevent overpressure and ruptures. There has never been a documented case of a Stanley boiler exploding while in use. The engine had 2 double acting cylinders, side by side, equipped with slide expansion valves. Drive was transmitted directly from the engine crankshaft to a rear mounted differential using just a chain. In later models, Stanley invented a new automobile model with twin cylinders engines geared directly to the rear axle. 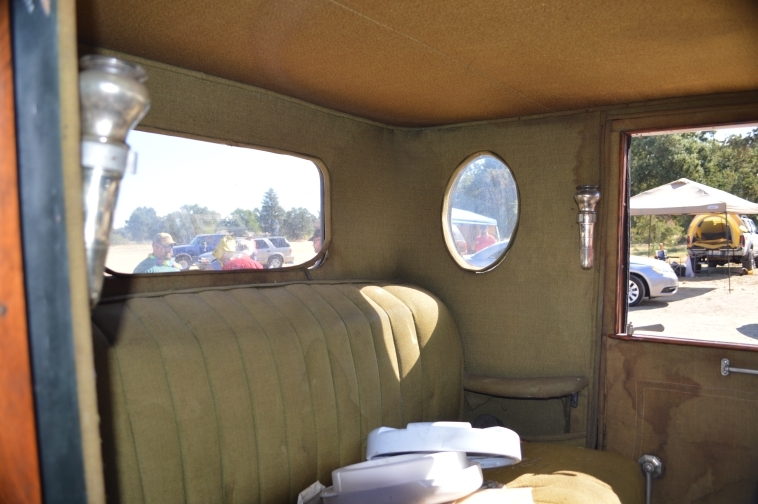 Although the later models resembled the internal combustion cars of the time--with aluminum coachwork--Stanley cars continued to use the steam features on a fully sprung tubular steel frame without the use of a transmission, clutch, or driveshaft. 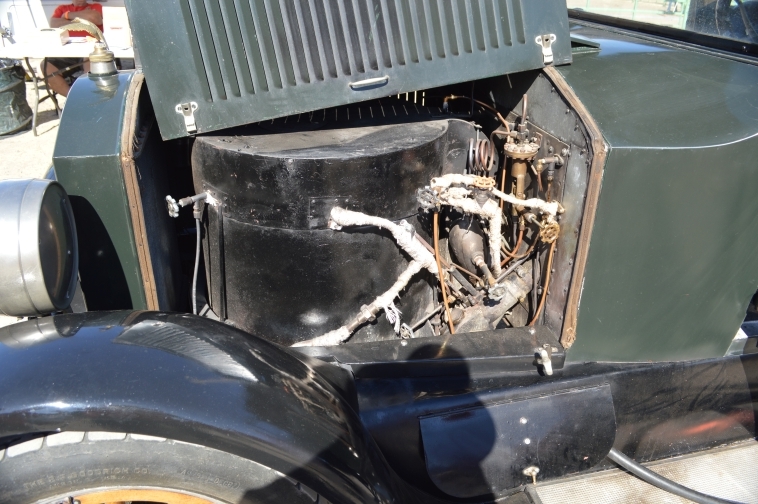 Eventually, Stanley shifted the steam boiler to the front of the vehicle which was known as a "coffin nose." In order to improve range, condensers were introduced in 1915. In 1906, a Stanley Steamer set the world record for the fastest mile in an automobile---just 28.2 seconds. This record was not broken by any automobile until 1911. Glen Curtiss beat the 1907 record with a v-8 powered motorcycle at 136mph. Production rose to 500 cars in 1917. 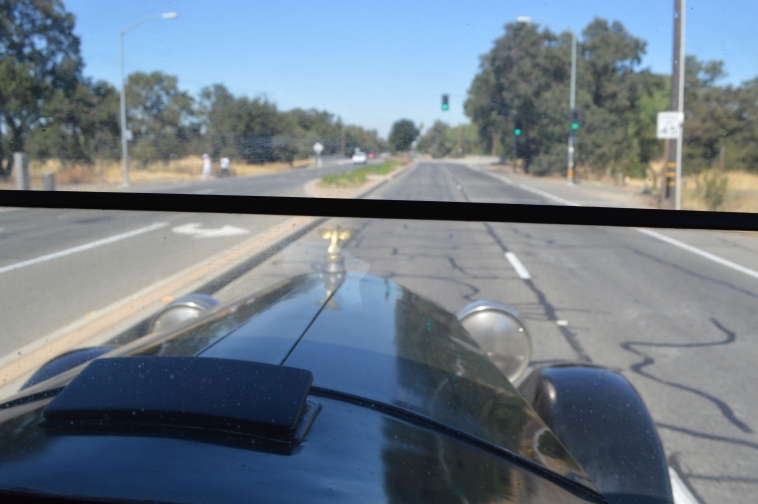 The record for steam powered automobiles was not broken until 2009. 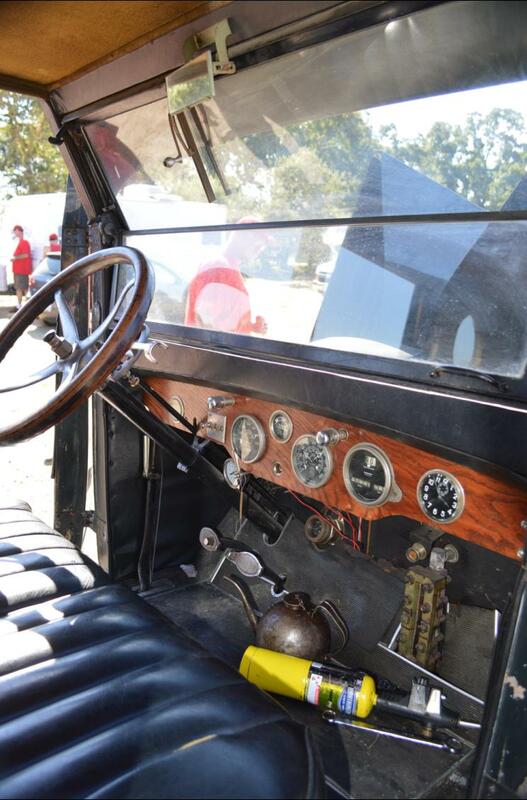 In the late 1910's, fuel efficiency and power delivery of the internal combustion engines improved dramatically and the usage of an electric starter vs a hand crank, which caused many injuries, led to the rise of gasoline powered automobiles. Stanley used fear campaigns trying to convince people that internal combustion engines could explode, while Stanleys were safe. Their slogan was "Power is correctly generated, correctly controlled, and correctly applied to the rear axle." In 1918 after Francis E. Stanley died, his brother Freeland sold the interest to Prescott Warren. The company went out of business due to competition. No models greater than 20 hp were produced after 1918. Far better cars were available at a much lower cost. 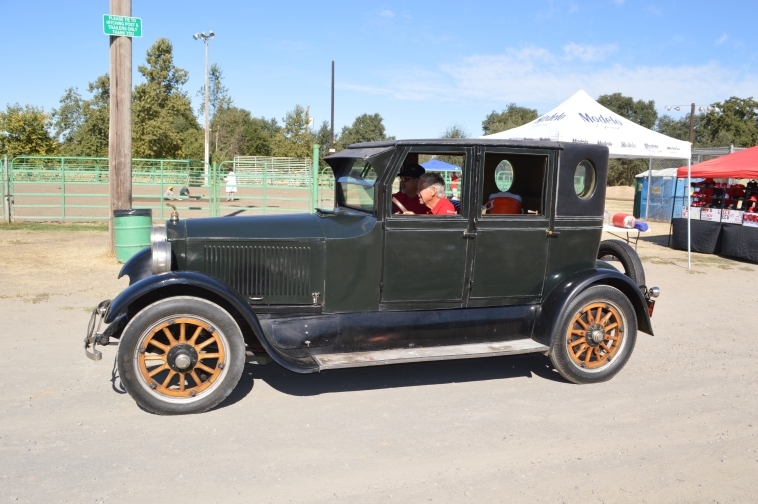 For example, a 1924 Stanley 740D Sedan cost $3950 ($54,357 today)...compared to a Ford Model T which was under $500 ($6881 today). Widespread use of electric starters in internal combustion engines rapidly eroded the advantages of the steam cars. This combined with Stanley's lack of advertising, and peoples's desire for faster cars, lead to Stanley's demise. Their factory closed permanently in 1924. I am so glad that we had the opportunity to experience one of "life's historical moments" in our August Doin's....a 1922 Stanley Steamer.